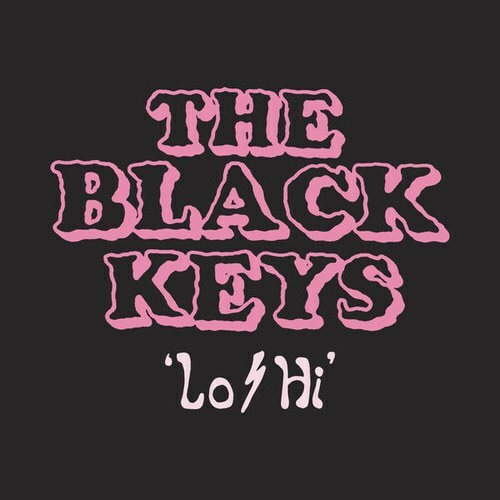 Blues rock superstars The Black Keys have returned with their first single in five years, the fuzzy and infectious “Lo/Hi.” Some think they’re back to save rock and roll, but does it even need saving? Nine years ago, they were arguably the biggest band in the world. They sold out stadiums and headlined zeitgeist festivals like Coachella and Outside Lands. Two white dudes from Akron, Ohio playing lo-fi Muddy Waters howlin’ blues shot through the stratosphere in a time when rock and roll was supposedly dead. It was a feat both impressive and one bereft of pretty much any competition. The radio cycled through their singles like a flip book and both of their back-to-back smash albums Brothers and El Camino went multi-platinum. Then shortly after the release of their 2014 record Turn Blue, they vanished. And Imagine Dragons breathed a collective sigh of relief. Dan Auerbach and Patrick Carney — the dynamic duo behind 21st Century Rock’s most unlikely success story — retreated into side projects. They enjoyed a long-overdue breather from blowout tours vastly different from their roots covering blues classics in Carney’s garage. March 7th saw the release of their first song since their sudden hiatus, the fuzzy, swaggering “Lo/Hi.” It thunders like a war cry out of time — a ZZ Top muscle car of a reintroduction. It scratches the itch left by their departure, not merely picking up where they left off, but hearkening all the way back to 2002’s Thickfreakness and all its no-frills blues strutting. You can practically scoop it out of your headphones with two fingers. you’re lyin’ in the mess you made. Twitter did its thing and sounded the trumpets. Okay. The Black Keys are back and I cant control myself. But some went further than heaping praise on the new song. They saw the drop of “Lo/Hi” as a sign that rock’s Messiah’s had arrived. Though the image of Dan and Pat descending from the clouds in a chariot pulled by wailing guitars is a glorious one, it glosses over one teensy tiny fact: rock and roll doesn’t need saving. How dead are we talking here? “Rock and roll is dead” is a phrase that itself has been beaten nearly to death. From the time I picked up my first rock album (Smash Mouth’s Astro Lounge if inquiring minds want to know), I’ve heard Chicken Littles in CBGB shirts portend the end of guitar-based music. To them, the music of today (whenever today happens to be) will never top what came before. The angry posturing of early aughts rap rock doesn’t come close to the lost generation nexus of grunge. That in turn can’t hold a candle to the cheer gravitas of 70’s metal. And don’t get me started on how inferior the 70’s are compared to the cultural explosion that happened when the Beatles and the Stones crossed the pond. Where do we set the barometer for peak rock? No matter where the needle falls, an army of wagging fingers will “well actually” it into another era. Let’s assume the “save rock and roll” crowd are talking about when the genre was most popular. Generally speaking, that puts the dial either at the height of Elvis’ stardom in 1956 or at the peak of Beatlemania in the mid-to-late ’60s. Rock was everywhere. It poured from every radio, topped every chart, and looked out from glowing TV sets announced by a grinning Ed Sullivan. It soaked up the coveted screaming teen demo with a fervor now reserved for the T. Swift’s and Post Malone’s of our present era. When people say “rock is dead,” what they really mean is that it isn’t the genre of diamond-studded swimming pools and private jets anymore. But rock isn’t about mountains of cash that now only go to dinosaurs like U2 and Metallica; it’s more like a sheet of flypaper. It sticks to every strumming guitar it comes across. Sometimes that leads to bigger audiences and more acclaim, but not always. If the old vanguards with graying ponytails moving Grateful Dead albums from the back of the record store rack to the front are waiting for rock to make that kind of a comeback, they may die at their posts. As of this writing, “Lo/Hi” hasn’t cracked Billboard’s Hot 100. A couple of tracks by Panic! at the Disco and Imagine Dragons are rock’s only emissaries on the chart right now – and calling them “rock” feels pretty generous. They’re shrink-wrapped confections cooked up by pop artists wearing guitar pins they earned in some distant past. The Black Keys have a long way to go if they’re going to slap the corpse of rock’s profitability back to life. Artists don’t pick up a guitar to get rich anymore, but that doesn’t mean rock is dead. If you focus only on the rarer and rarer Twenty One Pilots success stories, you miss a lot of the fire and fury bubbling up from underneath. The vast majority of young rock musicians aren’t in it for the money. They’re content to make one hell of a racket in the underground. One look at Spotify’s New Noise playlist proves that there is plenty of fresh new blood ready to rock out. Rock doesn’t need to be the music of popping pillies and cruising in Lambos to have something worth saying. Over its 70 year history, it’s always been best served as the vessel of the underdog. In fact, whenever it’s had its moment in the limelight, it usually drops the ball. Remember the nu metal and rap rock boom I brought up earlier? Remember when Woodstock ’99 was dubbed the “day the music died?” When subgenres of rock achieve superstardom, it usually becomes a march of the most homogenized, derivative, or just plain bad that it has to offer. The stadium-fillers get all the attention and leave the rest in history’s trash compactor. It’s said the sun shines on everyone equally, but no one talks about the people who get stuck in the shadow. When the Black Keys went away, one of the largest looming shadows disappeared. And if that didn’t pave the way for an obvious successor, it did open the doors for an eclectic batch of new rock musicians. Take a glance at the list of artists who topped the alternative charts in their absence. There are the elder statesmen like Green Day and Muse of course, but they’re peppered between Southern rock revivalists Elle King and Kaleo, genre-bending question marks Judah & the Lion and AJR, and electronic soundsmiths SHAED and Marshmello. According to Nielsen, rap eclipsed rock as the most popular genre of music in 2017, but the new wave of rock musicians doesn’t seem to particularly care. The more the traditional rock star career path gets bulldozed, the more that rock attracts visionaries and eccentrics. We’re hearing more voices with a lot to say and few ulterior motives. On top of that, many of them went virtually unheard before. Rock has for a long time been straight, white, and male as a podcast, but the Internet is changing all that. A study done by Fender showed that fifty percent of all new guitar buyers and aspirational guitar players last year were women. It’s easier than ever to drop an instrument into your Amazon cart, learn to play, and release your music to eager streamers. Perhaps once daunted by industry gatekeepers who turned away all the not-Stevie Nicks and not Joan Jetts, woman have begun picking up guitars and diving into this supposedly dying genre in droves. Young upstarts like Alex Lahey and Caroline Rose are producing unapologetic garage revival with more ferocity and nuance than their male peers. Amy Interrupter is redefining ska music for a crowd who’s only read about Sublime and Rancid in “You Know You’re a 90’s Kid When” BuzzFeed listicles. And virtuoso songwriters like Maggie Rogers are challenging the very idea of genre with deftly crafted soundscapes. The future of rock may in fact be female. That’s not to say the Black Keys’ new song isn’t welcome. It just isn’t the harbinger of rock’s next golden age. By some accounts, we’re already there enjoying a burst of fresh creativity and voices with plenty to say. Dan and Pat aren’t the towering force they once were, but they’re a voice among many in a chorus of guitar riffs. They aren’t back to save rock and roll. It never needed saving in the first place.